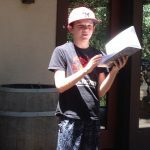 The Voigt Family Sculpture Foundation proudly presents Poetry Camp Among the Sculptures. 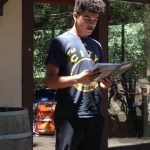 This camp is free for students ages 11-15 and is coordinated by Iris Jamahl Dunkle, Poet Laureate of Sonoma County. 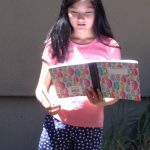 She and published poets Jackie Huss Hallerberg and Kathleen Winter will give each student the opportunity to participate in a poetry lesson at a total of three different sculptures in the current VFSF exhibition, Geometric Reflections: 10 Years Of Sculpture. 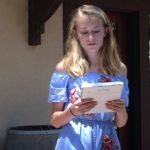 At the conclusion of the three lessons, the students and teachers will convene in the Paradise Picnic Pavilion for a boxed lunch and time to share their poems. 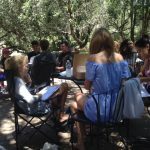 Please register here to secure your student’s space. 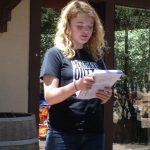 Poetry camp is free for students age 11-15. 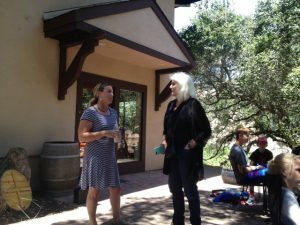 Sonoma County Poet Laureate Iris Dunkle is directing the camp. 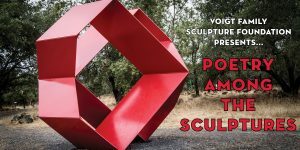 Lessons will be taught around the sculptures of Geomtric Reflections, VFSF’s current exhibition in the grove at Paradise Ridge Winery. A morning snack and lunch will be provided. Registration is required through Eventbrite. *Bring a camp chair or blanket to sit on.